Blue tote features Mickey Mouse in running gear running through Disney World with each park represented: Cinderella’s Castle for Magic Kingdom, The Tree of Life for Animal Kingdom, Tower of Terror for Disney’s Hollywood Studios, and Spaceship Earth, the Monorail, and France pavilion’s Eiffel Tower for Epcot. Fireworks are also sprinkled throughout. 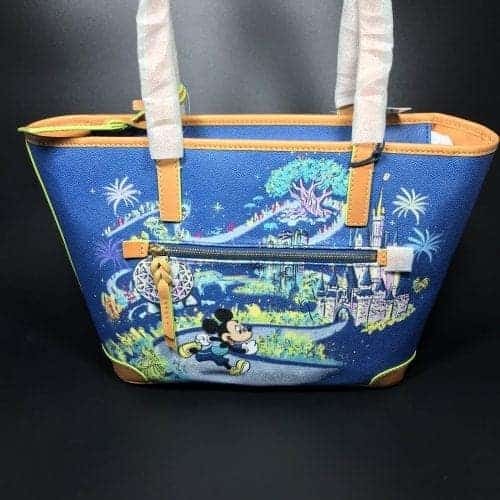 The design is on both the front and back. 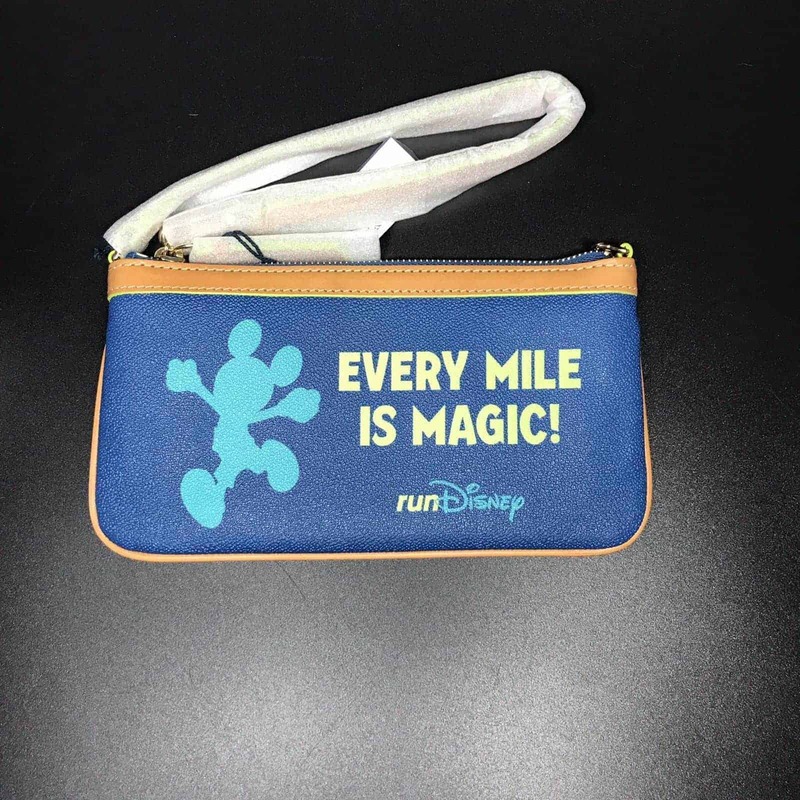 Blue wristlet features a silhouette of Mickey Mouse running forward and slightly to the left. It reads “Every Miles is Magic” and displays the runDisney logo. 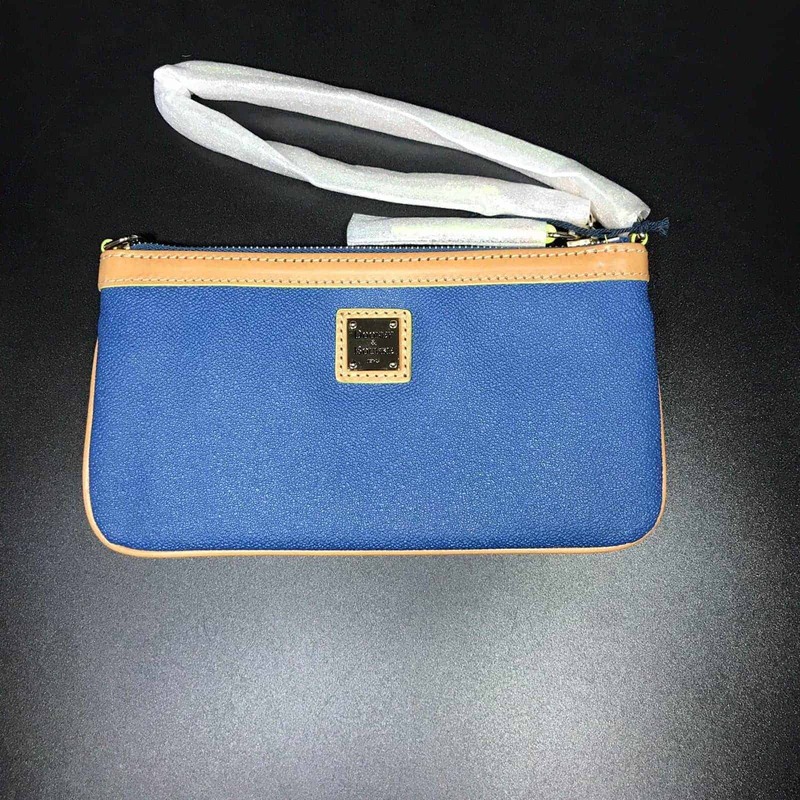 The Dooney & Bourke square, gold metal logo can be found on the other side of the wristlet. Love these! 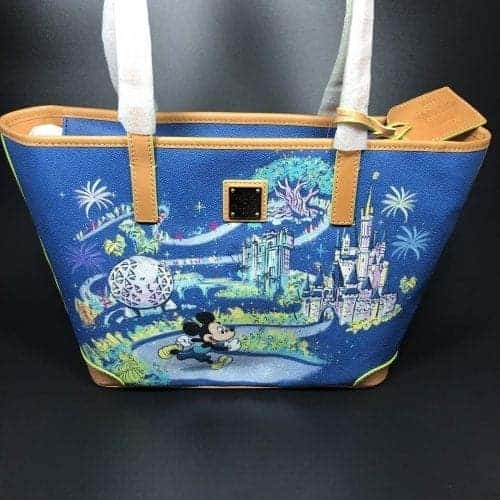 I would very much like the measurements of the WDW Marathon 2019 Tote, please. How can I purchase one now that the races are over?